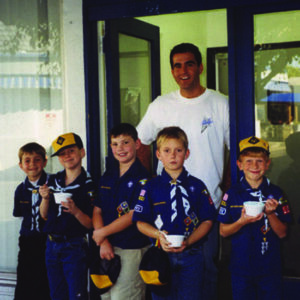 Some things remain the same throughout the years—one of those things is the love of ice cream. 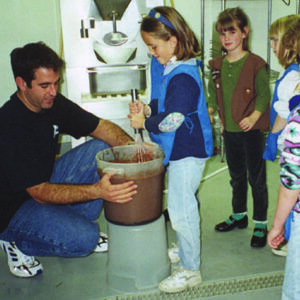 Ice cream is America’s Favorite Dessert and MooTime Creamery was originally created in 1998 as the best of the best, a premier quality product. 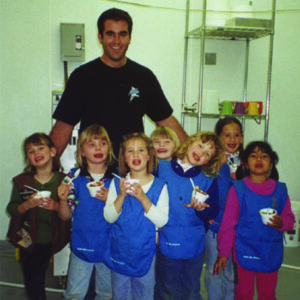 Our doors actually opened as MooTown Creamery, but the name was changed in 1999 to secure a trademark. 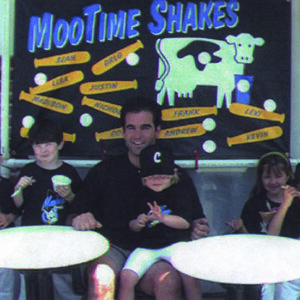 MooTime Creamery’s goal has always been to provide the best hand-crafted ice cream, yogurt and sorbet available in a fun and nostalgic atmosphere. The first store at 1025 Orange Avenue opened in 1998 and has continued it's success for at least two decades now. 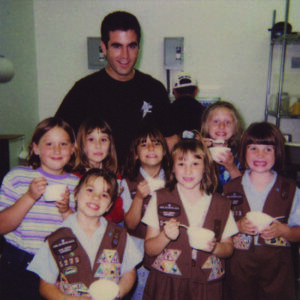 Adults and children of all ages, regular folk and movie stars, local politicians, and major athletes such as Magic Johnson, Mandy Moore, Jason Alexander and Cuba Gooding Jr. have all enjoyed a MooTime treat. Locals and tourists can usually be seen well into the late night – standing in line, smelling our freshly baked waffle cones and waiting for that delicious MooTime ice cream experience! Each flavor is handcrafted from scratch in our government approved production facility. We rotate our flavors daily for freshness. 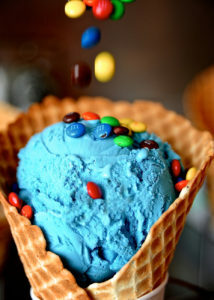 Order by the scoop or enjoy our specialty sundaes, cakes and pies! We can create a special order ice cream cake or ice cream pie with 72 hours notice. Ask a MooTime Creamery crewmember for details on how to order your special ice cream dream! 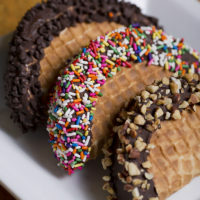 A housemade waffle shell filled with ice cream and cookie dough, then dipped in chocolate & topped with almonds, chocolate chips or sprinkles. 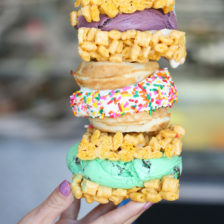 Your favorite MooTime ice cream sandwiched between your choice of freshly baked cookies, waffles, or cereal bars. 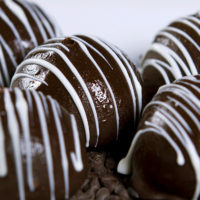 Bite-sized balls of ice cream rolled in chocolate and drizzled with white chocolate. Sponsor Boosters for Water Polo, Scoccer, etc. © 2018 BLUEBRIDGE HOSPITALITY. All Rights Reserved.